The 2017-18 NBA season was a forgettable one for Dallas Mavericks fans. It was the second year in a row that the Mavericks did not qualify for the playoffs. Plagued with injuries, the team finished the season with a record of 24-58 (.293) record. The team has had a quiet off-season, working diligently on player development. Now the Mavericks are locked and loaded and have their sights set high for this upcoming season. With a roster consisting of sharp shooters and hungry veterans, Dallas looks poised to regain its' spot on top of Southwest Division and bring home another NBA championship. Division rivals, the Houston Rockets and the San Antonio Spurs will fight to keep the Mavericks down. Tickets for all games on the Dallas Mavericks schedule are available throughout their regular season and post season! Get your Dallas Mavericks tickets and head to the American Airlines Center to show the league your team's home court advantage. Although Dallas Mavericks is a relatively new franchise in the NBA, it has enjoyed considerable success over its 37 years of existence. Mentioned below are a few of them. 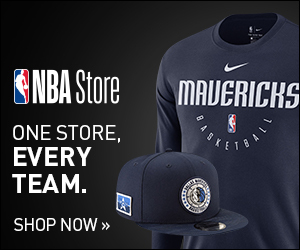 The 17-Game Winning Streak - The Dallas Mavericks’ 2006-07 NBA season did not finish as well as expected however, it remains a memorable one owing to the team’s multiple winning streaks. The highlight of course was their phenomenal 17-game winning streak that began on January 27, 2007, and ended on March 12, 2007. During this time, the Mavericks outscored their opponents by 102.5 to 89.5, a differential of 13.2. The contribution of Power Forward Dirk Nowitzki in the winning streak cannot be overlooked. He led the Mavericks to become the first NBA team to record three winning streaks of 12 or more and the fourth team in NBA history to post 3 double-digit winning streaks within the same season. Nowitzki was named MVP for the 2006-07 season. The Mavericks’ First Championship - Led by LeBron James, Miami Heat were the favorites for the 2010-11 NBA Championship. The Mavericks’ roster didn’t have the star power to challenge mighty Heat at the time. But Jason Terry’s brilliant shooting and a final push by the legendary Dirk Nowitzki led the team to a rather surprising 105-95 win over Miami Heat at the American Airlines Center on June, 12, 2011. The Dallas Mavericks share rivalries with a number of teams in the NBA. Mentioned below are a few of the interesting ones. San Antonio Spurs - The rivalry between the Dallas mavericks and the San Antonio Spurs is due to the very dramatic and intense games played between the two sides. The 2009 playoff series stands out in this regard as it was a pretty close game. The Mavericks were able to defeat the Spurs in the first round however they didn’t perform well following the win. Then again in the 2010 series, expectations were high for both teams, but this time the aging Spurs managed to beat the Mavericks. Overall, the Spurs and Mavericks have squared off against each other a total of 172 times in regular season games. Out of these, the Mavericks have won 67 while the Spurs are leading with 105 wins. Houston Rockets - The rivalry between the Dallas Mavericks and the Houston Rockets is called the I-45 rivalry. This is because both Dallas and Houston lie on Interstate 45. The rivalry started back in the 1980-81 NBA season when the Dallas Mavericks were the last team from Texas to join the league. In the Mavs’ inaugural season, the Rockets won all six games. This includes a 116-68 blowout win. When Dallas defeated Houston in the 2005 playoffs, the Rockets accused the team of game fixing. The rivalry grew more intense in the 2015 season when Jason Terry who was a starter on the Mavericks’ 2011 Championship winning team joined the Rockets. Both teams clashed in the first round of the NBA playoffs where the Rockets beat the Mavs 4-1. Overall, the two clubs have had 171 meetings in the regular season. Out of these, the Mavs have won 81 times while the Rockets have 90 victories to their credit. Over the course of their history, many players have donned the Mavericks uniform. However the contributions of some are more noteworthy than the rest. Mentioned below are a few of such players. Dirk Nowitzki - Dirk Nowitzki is one player who has never donned another uniform besides the Mavericks’. Since his debut back in 1998, the Power Forward has led the team to a total of fifteen NBA playoffs. This includes the franchise’s first appearance in the Finals in 2006 as well as the team’s first and only championship in 2011. Nowitzki has 12 All-NBA Team selections and 13 All-Star appearances so far. He is the first player from Europe to start in an All-Star Game as well as the first one to receive the NBA MVP Award (2007). The German born athlete also happens to be the highest scoring foreign-born player in league’s history and the sixth player to score more than 30,000 regular-season points. Mark Aguirre - Mark Aguirre was chosen by the Dallas Mavericks as the first overall pick in the 1981 NBA draft. During his seven-and-a-half year stint with the team, the Chicago born athlete never disappointed his fans. He never averaged less than 22.4 points a game. Aguirre was a three-time All-Star for Dallas. He grabbed 502 steals, dished 1,163 steals and dropped 13,930 points, each of which ranks in the top 10 lists of the franchise. Opened in 2001, American Airlines Center is one of the best sporting venues in the NBA. In the arena, fans are welcomed by a beautiful combination of brick, granite and limestone that creates the warm feeling of home. The arena also includes three state of the art video boards and sound systems that present the public with a five star game day experience. If you want to enjoy a fan friendly spot before or after the game, you must visit AT&T plaza. Get your Mavs tickets now and head to one of the best sports arena's around for some serious fun! The schedule for the 2018-19 NBA season has been announced. Having experienced their first losing season in close to two decades, the Mavericks are determined to put together a good fight in the upcoming campaign. There have been some moves during the off-season and the team looks ready to take on the opponents in the upcoming matchups, Dallas Mavericks tickets 2018 for which are available here. So check out the dates and be ready for some intense basketball action. Our process for purchasing cheap Dallas Mavericks tickets is simple and fast. There are so many online ticketing sites, that it can be hard for customers to find the right place to buy Dallas Mavericks tickets at the cheapest price. At ScoreBig we think of our customers first and foremost. We offer daily deals for Dallas Mavericks events, so our customers can get the best seats for the best prices. ScoreBig will always go above and beyond to offer the cheapest Dallas Mavericks tickets on the market. The Dallas Mavericks schedule above, displays all available events for 2019 and 2020. Once you find the event that you would like to go to, click the red “Get Tickets” button. It is located on the right-hand side of the event listing, it will take you to an Dallas Mavericks event ticket page. ScoreBig's event ticket page will display all available Dallas Mavericks tickets for that event. On the event ticket page to help with your search for the right Dallas Mavericks tickets, use the filters at the top to select quantity, price range, and more. There is also an interactive seating chart so you can pick where you want to sit. When you are ready to buy a ticket, click on the listing, and you will be directed to ScoreBig's checkout page. Upon completion of the information fields, your order will be processed and your Dallas Mavericks tickets will be delivered via email, mail, or to your mobile device. What makes ScoreBig’s site stand out from the rest? We are constantly analyzing our competitors to improve our site, service, and prices. ScoreBig.com employees strive to offer the best process and experience to buy cheap Dallas Mavericks tickets. Our goal is to get you the best seats to Dallas Mavericks events. We offer daily discounts on our site and for special promotions check out our newsletter. If there are no Dallas Mavericks events currently available, you can use our search feature at the top of the page to see a list of all popular events going on near you. No matter your price point, we have all the best deals and discounts on Dallas Mavericks tickets. For more information on prices of Dallas Mavericks tickets and the schedule for Dallas Mavericks, check out our listings above. The last thing you want to find out is when the Dallas Mavericks event you wanted to go to is sold-out. Don’t worry in many cases ScoreBig has affordable tickets to sold out events. We sell tickets from GA all the way to premium seating and parking. Skip the scalpers in the parking lot and get your tickets online from top Dallas Mavericks ticket brokers. We get you in all events, buy your Dallas Mavericks tickets here from a brand that many trust and rely on for all their ticketing needs. ScoreBig offers a 100% money-back guarantee. If you have been in search of cheap tickets for Dallas Mavericks, ScoreBig by far is the best option. That’s why ScoreBig has more loyal customers than any other ticketing site. Shop at ScoreBig for safe and secure Dallas Mavericks event tickets.